Finally Got Freedom to Move Independently – Now What to Do with Your Used Mobility Scooter? Mobility scooters have made it easy for people with disability to move freely and live like ordinary people. There are numerous types of mobility scooters and a number of agencies where people who are physically challenged can buy their scooters from. Although finding something to ride on is easy, a lot of people do not know what to do with their scooters after they are back on their feet. Can you sell scooter or will it gather dust in your garage forever? Here are some tips on what to do with your used mobility scooter. Mobility scooters are for people with special needs, and not everyone with a physical disability will use the same type of scooter. Because of that, it can be difficult to sell your old or unused scooter. The easiest avenue for getting money from your scooter is to sell it for scrapping. Scrapmybike, for instance, will give you a quote on the scooter after evaluating it and then forward the payment instantly in your bank account if you accept the offered price. Another reason why you should sell to Scrapmybike is that they make the process flawless and convenient for you by offering to collect your scooter wherever you are. People you know can be good leads to sell scooter. 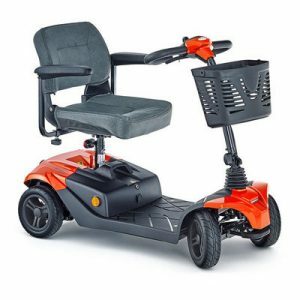 If you know someone who is in need of a mobility scooter, you can approach them and offer to sell it to them. Selling to someone you know can make you feel good and you can also take the opportunity to encourage the new owner of the scooter. It is however impossible to sell a used scooter to a friend or a family member if you know it is faulty. You are better off selling it for scrapping instead of embarrassing yourself or feeling guilty for selling it to someone you know. Yard sales are perhaps the epitome of places for people to find cheap but quality mobility gadgets and other items. People are aware that by going for a scooter sale in flea markets or yard sales, they will probably buy a scooter with a few faults. A lot of people will buy your scooter at a yard sale if the defects are not visible. And since selling at such places means you won’t give any warranty, you can get away with selling your used scooter or scooter with a few faults at a good price. It’s not practical or moral to take a totally unusable scooter for a yard sale. You can also find a buyer at a yard sale who wants a scooter to take for scrapping, but you will sell to them at a cheaper price than when selling to Scrapmybike. To conclude, mobility scooters make the lives of physically challenged people a lot easier and give them independence in moving. They are comfortable to move around with any level and kind of disability. However, once you are able to get back your natural mobility, the scooter becomes a liability. To save on the space that it occupies in your store or garage while making some money from it at the same time, sell the scooter to Scrapmybike and get the best price possible.